With $115,000 in total prize money on the line and an Aug. 1 deadline looming, a final push is underway to solicit nominees for the inaugural Thoroughbred Industry Employee Awards (TIEA), which will recognize and reward unsung, unheralded, and behind-the-scenes horse workers who demonstrate leadership and dedication within the United States racing and breeding communities. The TIEA program is sponsored by Godolphin, and is modeled after the Godolphin Stud and Stable Staff Awards that have been held for more than a decade in England, Ireland and Australia. There are five categories: two separate Leadership awards for racing and breeding personnel, two separate Dedication awards for racing and breeding personnel, plus a fifth Thoroughbred Industry Community Award that is open to support staffers who contribute to the greater good of the sport, even if they are not directly employed in the industry. TDN: The deadline is coming up quickly for the TIEA awards. What do people need to know to make sure worthy individuals get a chance at the recognition and prize money? DM: This is the first year of the awards, and with the Aug. 1 nomination deadline approaching, we encourage everyone involved in the industry to pause for a moment and consider who they know who might benefit from these awards. We believe it’s important because of the critical role these individuals play in our sport. Horses, owners, breeders, trainers, and jockeys receive the lion’s share of publicity, and deservedly so. But without the incredible infrastructure of the support staff–the grooms and the hotwalkers, the barn foremen, the yearling, broodmare, and stallion managers—our sport and our industry would not exist. These incredible men and women are the first line of care with our horses, and their recognition and contributions are long overdue and well-deserved. DP: This is a chance for us to really make a difference in the individual lives of people who aren’t ordinarily recognized. And an important thing to bring up is those individuals who win are also going to bring reward and recognition to the fellow members of their work teams. The winners get a cash prize, and there’s also going to be a cash prize to their barn, or farm, co-workers. So another reason that we’re encouraging people to nominate is that this is a team award as much as it is an individual award. TDN: What’s involved in nominating an individual and how long does it take? DM: It’s very simple and direct. If you go to the website, which is www.godolphinusawards.com, there’s an online nomination form there. You fill that out and submit it. It only takes about five minutes for the details, and then the commentary, the reasons for nominating that individual, it’ll take another 10 to 15 minutes. If the person has any further questions, they can contact the TOBA office, and we can assist them through the nomination process. DP: The better you know the person, and the more you can differentiate that nominee, the higher probability you have to impress the judging panel. You really have to know a person to get across why they’re unique and why they should be a worthy nominee. DP: Anyone can nominate anyone else. There’s not a hierarchy. It doesn’t have to be a boss. It can be a co-worker, or it can be somebody you worked alongside a few years ago and were really impressed with them. 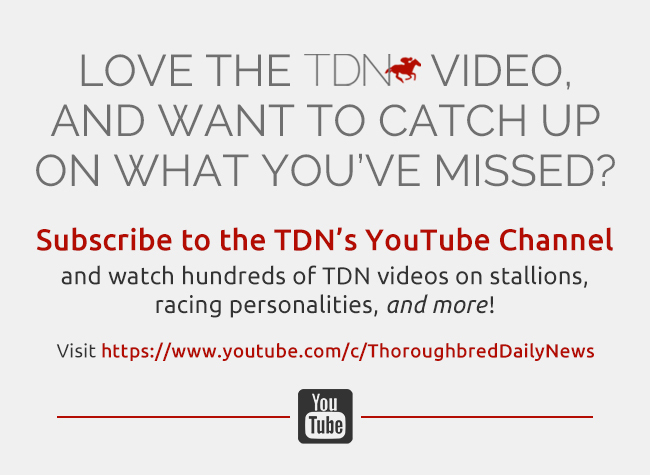 TDN: Can you explain the different award categories and give examples of who might be a good fit for the Leadership, Dedication, and Thoroughbred Industry Community Awards? DP: The basic way to break it down is there are two awards for racetrack-based employees, and two awards for farm-based employees. The fifth award is really a community service type. DM: For the Leadership awards, it might be a person who is in a managerial role at a breeding farm or in a racing stable who oversees employees and shows exceptional leadership qualities. People who excel at motivation and support of their colleagues. Someone who shows an ability to help and to shape the next generation of horsemen and horsewomen in our industry. The Dedication award is geared more to individuals not so much in a management, but who deal with the hands-on care of horses–the grooms, the exercise riders, hotwalkers. These people have shown talent in working with young horses, solid horsemanship in a racetrack or farm setting, and an ability to be reliable, consistent; somebody you can depend on. 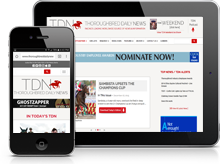 TDN: How about the Thoroughbred Industry Community Award? DM: That’s a pretty broad definition. That could include individuals from the racing end or the farm end. But it is important to point out that people eligible for that category do not have to be directly employed by the racing or breeding industries. 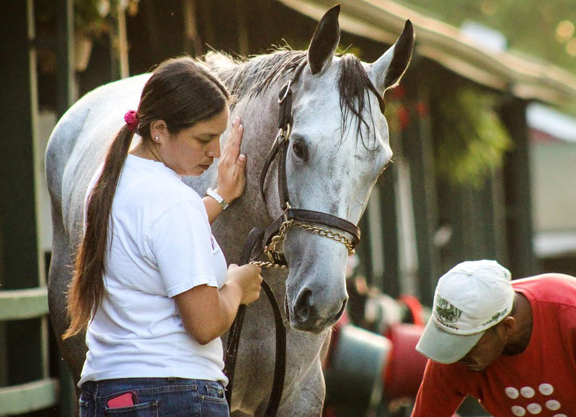 They contribute to the greater good of the sport, and could be from a wide diversity of nominees, like working at a non-profit horse rescue operation or in a veterinary setting. TDN: Beyond honoring individuals, what do the TIEA awards do to boost these important equine professions? DM: It shines a brighter light on the importance of these professions and jobs. We need to highlight that these are good careers for people who have a love of horse racing, and, more importantly, a love of the horse. And this is not only public recognition, but the financial reward of these awards is significant. TDN: Other countries have already set great examples in the area of recognizing behind-the-scenes, hands-on horse workers. How can we in the United States put our own stamp on these awards in this first year and beyond? DM: Certainly, Great Britain, Ireland, and Australia have set a high bar, the gold standard, for these types of awards. The United States is the world’s largest Thoroughbred economy, from foal production to the number of racetracks, races, and horses and training. It’s a wide industry spread out geographically from coast to coast. And we need to make it our goal for our initial awards to meet, and eventually exceed, the level of excellence set elsewhere. The United States, we believe, is the world leader in breeding and racing, and we believe we can build on these inaugural awards in the future to create a program where the level of participation increases every year. DP: In the U.S., we probably have the most diverse Thoroughbred industry in the world. So I think it’s important we show a strong representation in what we contribute. This is another reflection on us as to our global leadership role within the Thoroughbred racing and breeding world. We are a latter participant to these types of awards, but I do believe these awards have the potential to be very significant life-changers to both to the individuals who win and to the teams and their nominators. TDN: Any final points you want to underscore? DP: It’s important to note that once you nominate someone, if they don’t win, that nomination has the ability to roll over to the next year. After this year’s awards, we’ll come back and follow up with the nominators to see if they’d like the person they nominated to be included again the following year. So you really can nominate one time, and have this in the system going forward. And I also want to make sure that people know that Godolphin will not be the judge of the award-winners. We are the lead sponsor, but we are not involved in the mechanics of administering the process. An independent panel of judges that represents a broad cross-section of the industry will be deciding who wins.